Forster Fuego Light is an insulated steel framing system that has fire, bullet, smoke and intruder resistance. 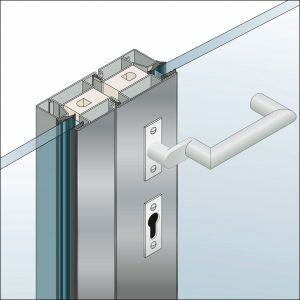 It is approved for fire resistance up to -/30/30 for sliding doors, -/60/60 for singles, pairs, and pivot doors, -/90/90 for single and pair doors, and -/120/120 for fixed windows, and is an extremely cost effective and aesthetically pleasing solution for many applications. Available in both mild and stainless steel, Fuego Light provides a very slimline visible section with excellent strength, and is appropriate for very large panes. Mild steel sections can be treated with paint or powdercoating. Stainless steel sections are available in ratings up to 60 minutes as a linished 304 grade, and can also be painted or powdercoated in highly corrosive environments. 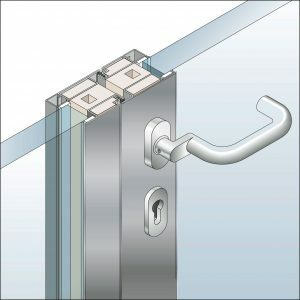 The complete Fuego Light range includes all hardware (hinges, locks, handles, door seals, beadings, etc) to provide complete integration and seamless assembly. This system also integrates flawlessly with Forster Thermfix Vario fire rated curtain wall. Fire-resistant doors: -/30/30, -/60/30, and -/90/90 in combination with smoke-proofing requirements. To download the complete range of Forster Fuego Light profiles, click here…. (Please note, not all profiles are stocked in Australia). To visit the Forster Profile Systems website, click here….